Spoiler Alert - you might cry happy tears Email not displaying correctly? A huge THANK YOU goes out to everyone who donated to the “Fund My Rescue” campaign for military service members' beloved patriot pets. 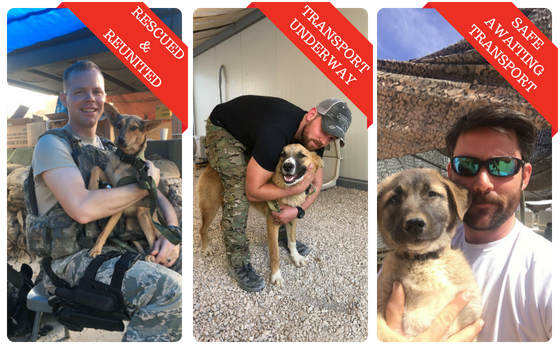 Thirteen pets were in urgent need of rescue from military bases around the world, and thanks to you every single one was fully funded! We’re happy to report that 3 of these pets are home safe, 4 are currently in transit, 3 are in our partner’s care and will travel as soon as they receive their vaccines and complete quarantine, and 3 are awaiting pickup. We know your hearts are invested in these stories, so here you can find more information about the status of each rescue. These rescues continue to be very complicated. Sometimes a soldier is even prohibited from walking their dog to the gate of the base to hand them over to a trusted SPCAI partner, so a series of carefully arranged handoffs must be timed between multiple people and hand-off points. Thanks to your support, we know we’ll make these rescues a success. We couldn’t do it without you! When military families, like the Aviles, get orders to move they immediately start making plans to move everything, including their pets. 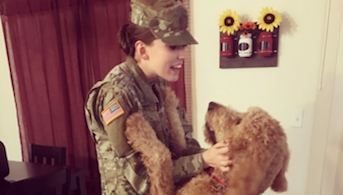 Often, a soldier finds out it will cost $1,000s to bring their pet along. Thankfully, Operation Military Pets helped this family stay whole. This squirrel just wants a snack! But a backyard bird feeder has different plans! 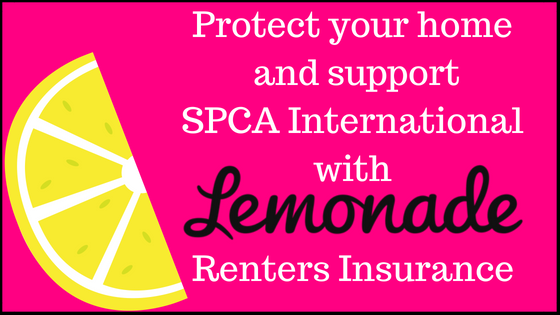 Here at SPCA International, we’ve bookmarked this hilarious video for future laughs. Cute, funny, and shareable - our staff pick for September's viral video is sure to make you laugh. Dogs in grocery stores, restaurants, airplanes and other public places are on the rise. People love their pets and treat them as members of the family, but where is the line? Should well-behaved pets and emotional support animals have access to all public places? When you see a sign that reads, “Service Dogs Only,” what does it mean? Who decides an animal’s classification? If you’re confused, you aren’t alone. Lawmakers, airlines, and others are trying to answer these questions and the current regulations surrounding service and emotional support animals are difficult to understand, but there are some key differences.